Our printmaking course is designed for those who love to be creative and explore materials. 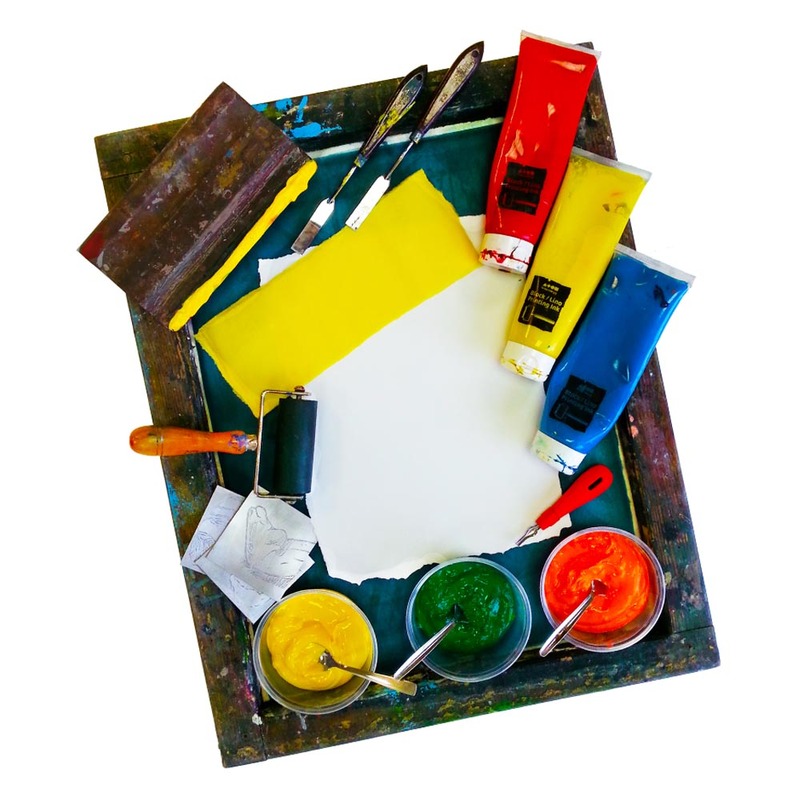 This 8 week course offers an introduction to a number of printmaking techniques including collagraph, screenprinting, lino cutting, monoprinting and metal etching. You will be able to make a range of products using your new printing skills including wall art, note cards, scarves, T-shirts, tote bags, printed fabrics and much more. Great for gifts or to keep for yourself!